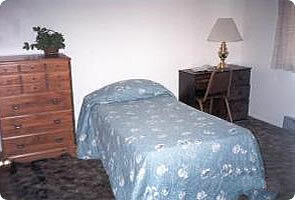 Welcome to our floorplan and photos page! 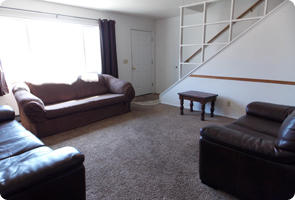 Please take a few minutes to browse through our photos and learn more about why Colonial Heights Townhouses is one of the most comfortable and best places to live as a student of BYU-Idaho. 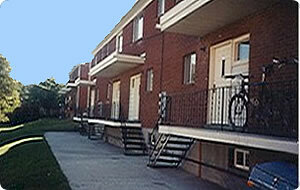 Each townhouse has a front door located at ground level. The main floor includes a large living room (14'9" x 14'10"), kitchen, and bathroom. Every kitchen has two refrigerators and a back door leading to a porch. 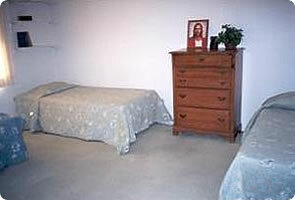 The upstairs and downstairs floors have a private bedroom (11' x 10'), a shared bedroom (15' x 16'), and a bathroom. Total square footage in each apartment is approximately 1,560 feet.